A Parent’s Guide to Fortnite! At this point just about every parent in North America (and beyond) has likely heard about the game Fortnite. It has been all the rage in recent months and shows no real sign of slowing down. Kids are even playing Fortnite while they are in classes at school! I’ve had a number of parents reach out to me with questions about the game, how it works, and what they should know about it. Take a look below for our Parent’s Guide to Fortnite! We included all of the questions parents have asked us and more. Sound off in the comments if you have other questions! Fortnite is a third person shooter developed and published by Epic games that is taking the world by storm. 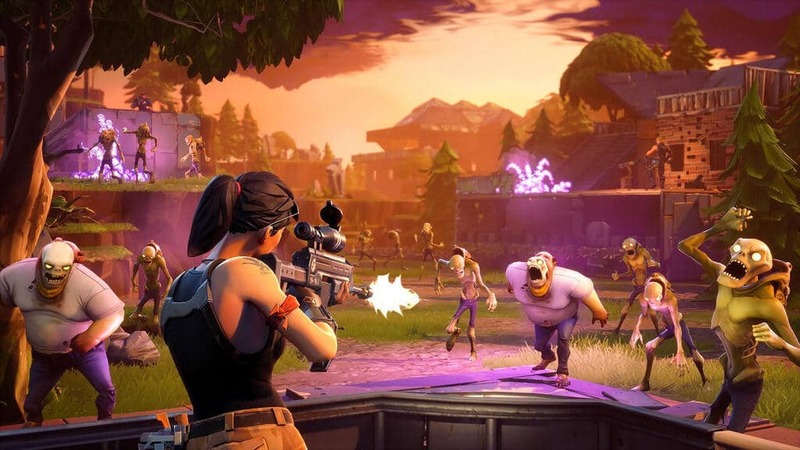 Many people who think of Fortnite recognize it for its wildly popular Battle Royale mode, but that was actually a recent turn in the game’s development. It was originally developed by Epic games as a third person action game where players spent the day roaming the map gathering materials (and fighting zombies) and then returning to their home base, or fort, and building walls, defenses, etc. It was originally revealed during the Spike TV Video game awards in 2011 and Epic has been slowly developing it ever since. 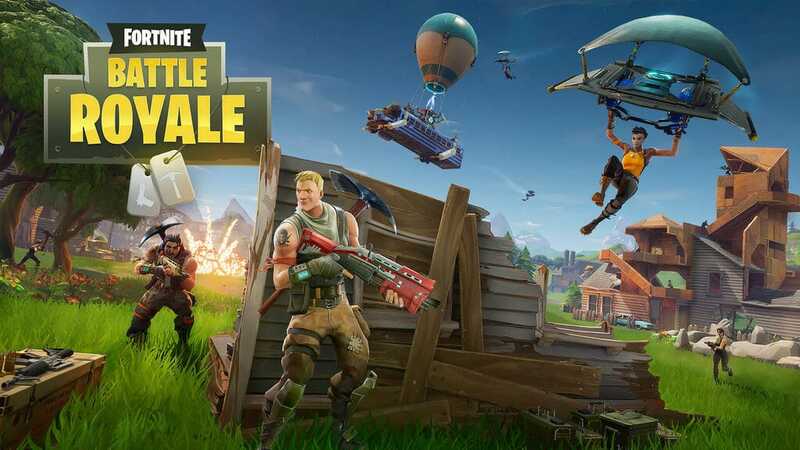 Fortnite: Battle Royale is a free-to-play game mode that uses airbus to drop one hundred players onto an island map that is surrounded by an encroaching storm. Players are tasked with gathering weapons, gear, and other equipment and forced to fight each other. The last player standing is the winner. The game forces interaction between players in a few ways. First, the map is only so big and the resources aren’t infinite. This forces players into conflict immediately. As the match continues the storm will actually close in on the island and take out anyone caught in it. This constantly shrinks the battlefield and forces players to fight as opposed to playing the waiting game on the far corners of the map. Many players liken the game to the Hunger Games franchise. It is far and away the most popular way to play Fortnite. It has been a smash hit almost from the minute the game mode launched. Its massive popularity has led to it being featured on shows like Good Morning America and the Today Show. Its also a huge hit with gamers who enjoy watching players stream games on services like YouTube and Twitch. It was only just recently that the Twitch Streamer Ninja set a new record for Twitch streams by having over a half million viewers when he was playing Fortnite: Battle Royale with the rapper Drake. What is the Fortnite Save the World Mode about? Fortnite’s Save the World mode is what remains from the originally announced version of the game. Fortnite is set on modern-day Earth. The story is that a worldwide storm appeared suddenly and caused 98% of the world’s population to disappear. They were replaced by zombie-like creatures that constantly attack the remaining population. Epic Games has said that they view the Save the World mode as a cross between the building game Minecraft and the cooperative shooter Left 4 Dead. Fortnite has groups of up to four players cooperate on varied missions on randomly generated maps. They collect resources, build fortifications, protect survivors, and build weapons and traps to fight waves of creatures. Players earn rewards for each mission they complete. They can use their rewards to improve their character by giving them new weapons, traps, etc that they can build so they can take on more difficult missions. Fortnite’s Save the World mode is part of a premium package that costs $39.99, although there is a deluxe version that includes additional content for $59.99. Epic Games has indicated that they will be releasing it as a free-to-play game sometime in 2018 though. Fortnite: Battle Royale is a free-to-play game. As such, it does include in-game purchases. Players can buy a virtual currency in the game that they can spend on cosmetic skins, emotes, and dances that they can use to express themselves and their personality in the game. These purchases have no impact on the game itself though. There is no way to spend money in Fortnite to give yourself an advantage. Can our kids play Fortnite with strangers? Both the Save the World and Battle Royale modes allow for random multiplayer games that include strangers. The Save the World game mode lets players group up with up to four other players. They can choose to invite their friends to play with them or group up with random other players. The Battle Royale game mode is built around a group of a hundred players competing to be the last player standing. Players can play solo or with a squad of two or four players. The squads don’t have to include friends, though. Instead, you can choose to randomly queue in squads with strangers. This is going to end up being a big deal for parents who are concerned about the outside world having access to their children online. It is pretty hard to avoid without some very serious discussions about only grouping up with friends. I do recommend using the parental control settings on your console, PC, or Mac to disable the voice chat. This will go a long way to limiting the lines of communication. Fortnite is currently available on PC, Mac, PlayStation 4, and Xbox One. The Battle Royale mode is also available on mobile devices (iOS and an Android version is on the way). There is a growing movement calling for Fortnite to be brought to the Nintendo Switch, but there has been no confirmation as of the date that this guide was written. How is Fortnite rated by the ESRB? 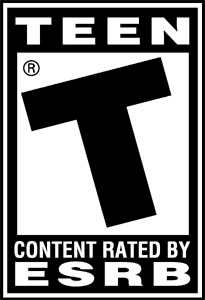 Fortnite is rated T for teen. Rating Summary: This is an action game in which players build forts, gather resources, craft weapons, and battle hordes of monsters in frenetic combat. From a third-person perspective, players use guns, swords, and grenades to fight skeleton-like monsters (husks) in ranged and melee-style combat. Players can also defeat enemies by using various traps (e.g., electric, spikes, poisonous gas). Battles are highlighted by frequent gunfire, explosions, and cries of pain. The Pokémon Company International announced today that 2018 is going to be a Legendary year for the Pokémon franchise. This is all because of a suite of announcements that include video game distributions of legendary Pokémon , TCG products, mobile game updates, and animation features that will launch throughout the rest of the year. Players will be able to receive a different Legendary Pokémon each month this year from February until November. The distributions will be made through as of yet unannounced Pokémon brand partners, but we can assume that there will be download cards from places like GameStop, Toys ‘R” Us, and more. Owners of Pokémon Sun, Pokémon Moon, Pokémon Ultra Sun, and Pokémon Ultra Moon for the 3DS family of systems will be able take advantage of the free promotions. Unfortunately, this means that players who are still hanging on to previous generation Pokémon games will be left out in the cold this time. The Pokémon TCG will have a number of Legendary-themed products released during 2018. The details are non-existent now, but the press release did indicate that more details would be forthcoming closer to the actual product launches. Pokémon Shuffle for Android and iOS will be a part of the action as well. Players will have two new event stages featuring Legendary Pokémon Dialga and Palkia available for play between February 6th and 13th. The smash hit Pokemon Go would never be left out when it comes to these types of promotions. There will be special Legendary themed events spread throughout the celebration. Details will be revealed soon. The Pokémon TV app for Android and iOS will feature Pokémon movies that feature Pokémon movies each month that feature the Legendary Pokémon currently being distributed. For example, Augusts Pokémon Movie will feature Groudon and Kyogre. Pokémon The Movie: The Rise of Darkrai, which features the Legendary Pokemon Dialga and Palkia, will be on the app during the month of February. Fans can also expect to see these movies appear on broadcast partners like Disney XD. A Legendary celebration indeed. Will your family be partaking in any of the Pokémon fun? Let us know in the comments! Nintendo Surprises At iPhone 7 Event; Announces Super Mario Run for iOS! Apple held their annual iPhone announcement event on September 7th. They made all of the expected announcements and said all of the expected things. For the most part, it was uneventful to the point of being boring. Until they decided to trot out Shigero Miyamoto from Nintendo. That is when things started to get interesting. He was there to help announce, and begin the hype campaign, for the first true Nintendo game for mobile: Super Mario Run. Super Mario Run will be coming to iOS first later this year and is the first Mario game ever build from the ground up for mobile. There have been all sorts of (illegal) ways to get Mario games onto Android phones before, but this will truly be a first. Run is designed to be played in portrait mode and with one hand only. Mario runs from left to right automatically and players control him by tapping to jump. Short taps on the screen will result in little hope and longer touches will result in a bigger jump. That might sound like your average, run-of-the-mill endless runner, but it is actually quite different. The biggest reason is that the levels aren’t random. There are worlds and stages just like in a regular Mario game on a console. This opens up a lot of space for Nintendo to have people competing against their friends for high scores in specifically designed levels. You can go to the Super Mario Run page on the iOS App Store right now. This gives you the option to be notified when the game comes out sometime this December. Nintendo has confirmed that the game will have a free demo and then a premium price for the whole app (thus eliminating freemium nonsense), but they have not told us what the final price would be. What do you think? Are you going to download this one? Sound off! Pokemon Go! is a game that has already taken the world by storm. It is impossible to go anywhere without seeing dozens of people playing the game. They are everywhere from parks, to shopping centers, to their neighborhoods. Its popularity, however, is not indicative of the finished product. The reality is that Pokemon Go! has been released as a “minimally viable product. ” That means that is includes the smallest number of working features possible in order to sell it. Niantic, the company behind Pokemon Go!, has a lot of work ahead of themselves. The game has attracted a large audience. In order to maintain that audience it is important that they continue to add new features. This will help keep people excited and engaged. We polled our audience and reflected on what features we wanted to see included to the game as it continues to develop. Take a look below and check out our list of some of the requested features. We already know this feature is coming. We just hope that it comes soon. This will give a lot more opportunities for gathering Pokemon and would give players a chance to use teamwork help complete their collections. There are reports out there that this feature is going to include NFC (near field communication). But, we really don’t know all of the details outside of the fact that it is on the way. One of the key components of the Pokemon franchise is the idea of two trainers battling it out with their Pokemon collections. This combat happens at gyms in Pokemon Go!, but we don’t think there are enough opportunities to battle friends or to even battle in the wild. 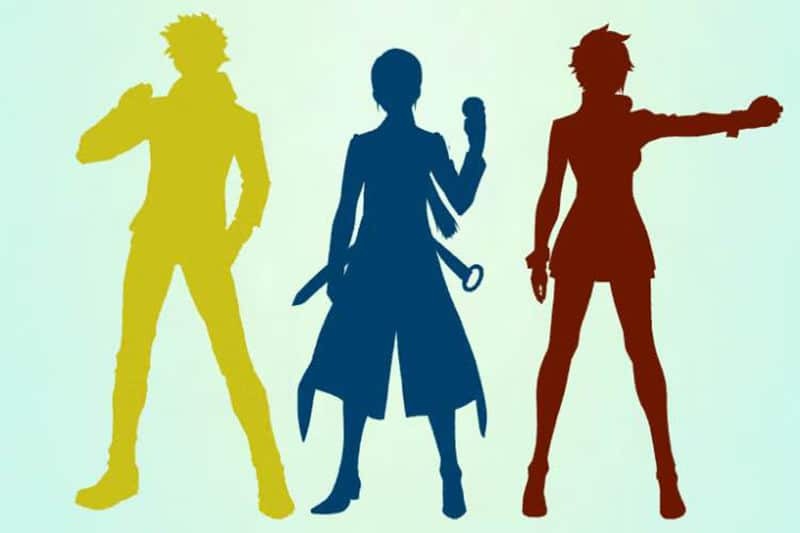 Our hope is that Niantic will provide opportunities to have the battle experience outside of the gym environment either with NPC controlled Pokemon trainers that wander the map, or with friends locally. This can use some of the same technology as the trading mentioned above if they don’t want to deal with the logistics of friends lists. But, honestly, we know they are smart people, they can figure it out. One problem that a lot of younger gamers have is that they don’t have the ability to level their Pokemon easily. We hope that Niantic adds some alternative routes to increase each player’s Pokemon. Some suggestions from our audience included things like earning XP for a given Pokemon by tracking walking distance or being able to ship Pokemon to Professor Willow for dust in lieu of candy. A healthy portion of our audience requested the ability to have more interaction with people that they deem as “friends.” They wanted to be able to challenge their friends to combat or to other competitions. There’s already some light social elements because everyone can join one of the three teams. 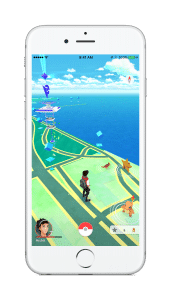 Some people feel that the game is still an isolating experience (at least within their own phone) and are hoping that they can make a more social experience. One member of our audience is actually color blind and mentioned that some of the coloring in the game specifically regarding the rings that represent difficulty for capturing Pokemon or difficult for them to see our hope is that they make the game slightly more accessible over time by implementing different colors to accommodate the color blind. What Pokemon Go features are you looking for? Sound off in the comments and let us know! Pokémon GO has been out for a little less than a week. To say that the game has had an extraordinary impact on daily life is not an exaggeration. The app has been the number one downloaded app in both the iPhone’s App store and in the Android’s Google Play store since the day after it launched. It’s currently installed more than Tinder and is getting more usage than SnapChat and Instagram. Many statistics show that it is approaching the worldwide daily usage of Twitter. Pokémon GO is HUGE. Don’t believe us? Take a walk to a local park and look at the sheer number of kids, teens, and adults wandering around with their phones trying to catch ‘em all. Is there a monument nearby? Check out the crowds surrounding the monument. Check out some local businesses. Do they have signs up offering discounts to Pokémon GO players? Are they asking people to not loiter with the app outside of their storefront? Has your local Police Department put up cautionary notices and posts on their FaceBook page or Twitter account? Here at EFG, we were aware of Pokémon GO way before it showed up on mainstream media’s radar. We knew it was coming, had a basic idea of how it would work, and were familiar with the company’s first Augmented Reality game called Ingress. We had plenty of time to discuss this game with our family and brainstorm possible safety issues and solutions to those issues. We were lucky enough to put a game plan into place and set up rules and limitations before the game was available. Many families did not have this luxury and have seen both awesome and terrifying things about Pokémon GO on the news/internet. In this article we will address some of the biggest Safety & Security concerns associated with the game and we are going to share our rules and some tips to help keep your family safe while playing this exciting new game. Below are some of the major headlines we’ve seen regarding Pokémon GO in the last few days. Some of these headlines are pure fiction from gag websites, some are real and documented by mainstream news reports, some are pure speculation, and some are a mix of fact and fiction. We will look at each one individually. Pokémon GO causes major traffic incident as man stops on highway to catch Pikachu! This article is fiction and originated on a fake internet news site, but it was written as a warning of what could potentially happen and has coined the very valuable hashtag #DontPokémonGOandDrive. This should be common sense. Our phones should NEVER be in our hands when we are behind the wheel. We have told our children this many times and they actively police us if they see us pick up our phone. Whatever it is, it can wait. This is a very important topic to discuss with any teens that may be driving as often as you can. Hearing this often can and does save lives. Child finds dead body searching for Pokémon in river! This one is mostly true. Though, just to clarify, it wasn’t a young child and the girl was not physically in the river searching for a Pokémon. It was 19 year old out for a walk and she was looking for water type Pokémon so she decided to take a walk on a bridge by a river. She saw a body floating in the water in the distance and called authorities. She was being safe, was not overtly frightened by what she saw, and she continues to play the game and was not discouraged by her gruesome find. This is a great place to bring up one of our first safety concerns that we discussed with our children. Even though you are playing a game, it is important to be aware of your surroundings. You still need to look up from your phone, look both ways before crossing the street, and follow the same common sense safety techniques you follow on any outing. Niantic even includes warnings within the app to stay alert and aware. Man/Teen/Black Man shot while trespassing in park/graveyard/church/neighbor’s yard trying to catch a rare Pokémon! This headline has many variations that have turned up on Twitter and fake news websites. No credible or substantial news source has any documented information about Pokémon GO related shootings. This seems to play on fears from recent US events and headlines and is a form of clickbait. The only credible information similar to this headline seems to come from a few Sheriff’s Offices and Police Departments asking players to be aware of private property regulations and public property hours and asking players not to trespass on local properties. The idea of trespassing has become a MAJOR concern with Pokémon GO, and we want to make sure we touch on a few key facts. First, the game is DESIGNED so that you do not HAVE to trespass. If you see a Pokémon in a neighbor’s yard, you do not actually have to walk on their property. You have to be in range (generally on a sidewalk or public street in front of the property) and then you can tap on the Pokémon and it will bring the Pokémon up directly in front of you. However, it is good to make your family aware that monuments, parks, public buildings, beaches, and historical landmarks do have typical hours of operation and you need to respect those hours. In most US locations, those hours are dawn till dusk. Please do yourself and fellow gamers alike a favor, and honor those times. Also, before going on Pokémon adventures with your family or allowing your children to go out by themselves in your neighborhood, it is a good idea to discuss the concept of trespassing and also to discuss how certain innocent behaviors may seem suspicious to outside observers. Pokémon GO a massive front for the government to steal all of your information via Google account! This one has less extreme versions on national news networks, in local papers, on conspiracy theory websites and on dozens of technology websites. The basic story is that by logging into our Google accounts and by agreeing to the privacy agreement and acknowledging the fine print legal information at the start of the game, we gave Niantic access to our Google email, our iPhone or Android photo albums, our location histories, and all of our Google account data including Google Docs. Originally, it appeared to be true and a mistake made by Niantic. Thankfully, tech savvy users picked up on this potential breach of security and notified the game makers who promised to fix it as soon as possible. Further research revealed that there never really was a breach. But, if you are still concerned with privacy, you can always create a dummy Google account and log in fully incognito. If you want to be even more secure you can either use a spare phone or buy a cheap used one off eBay. Set up your main phone with a VPN, turn it into a Wi-Fi hotspot, and play from your spare phone with your dummy gmail account. This seems a bit extreme, but we are here to provide the information. Children lured to dangerous situation by armed robbers via in game connection. First of all, the people *lured* to the *dangerous area* were not children, they were adults. Second, these incidents occurred at 2am. It is likely safe to assume most young kids won’t be out at that time. Unfortunately, the perpetrators of the attempted robberies were teens who have been caught. The whole thing is actually very sad. What happened in this situation is scary and unfortunate, but could have been avoided with some common sense safety preparation. In Pokémon GO there is an item called a “Lure Module.” This item can be used at a Poke Stop to lure Pokémon to that specific area. 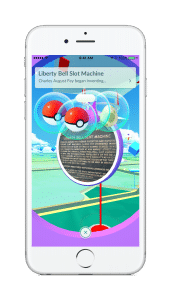 That Lure Module is universal and works for all players in that area, and all players walking near there can see that a Lure has been used and can take advantage of that to catch more Pokémon. The Lure lasts for 30 minutes. In this situation the robbers dropped the Lure hoping to catch players unaware and rob them. Yes, it was scary. Yes, it was taking advantage of game mechanics to commit a crime and draw people to an area. No, this shouldn’t/won’t happen to you or your children if you have a plan in place. Make sure your children know not to go exploring at night. Make sure your children know to use the buddy system and never walk alone. Make sure your children are aware of their location and the people around them. They shouldn’t randomly walk up to a Poke Stop with a Lure by themselves without first looking around to make sure the area is safe. At this point (a mere week after the game’s release) most police and authority figures know where most of the Poke Stops are in their areas and are policing them to keep them safe during daylight hours. Finally, it is important to note that at this point in time there is absolutely NO WAY to communicate with other people via the Pokémon GO app. Thousands injured who were not paying attention while playing the trendy new app Pokémon GO. Yep, it’s true. If you search Twitter, you can see hundreds of photos of Pokémon GO related injuries. There are images of scraped and bruised up legs, bumped and bruised foreheads, scraped up arms, and even a black eye or two. Obviously the game is dangerous. It must require extreme activities. Right? Nope. These are people who were injured while walking. Yes, just walking. Now, we are not going to call these people clumsy or careless…OK, maybe we are. These injuries are a result of a lack of common sense. Look up from your phone. Pay attention to where you are going. Wear good walking shoes, not flip flops or high heels. Don’t randomly cross streets, wander off the road into brambles, climb tall rocks or jump into lakes or rivers searching for Pokémon. With each and every one of these headlines, any of these situations could have easily be avoided. Talk to your kids about safety the same way you would if you were going on a hike. Discuss the areas that they are allowed to go. Give them a real world map. As a matter of fact, give them a backpack so they can be like Ash Ketchum or a Boy Scout and always BE PREPARED. Toss a water bottle and a few band aids or maybe a granola bar or two into the backpack along with the map. If you get into this game you may be walking farther and longer than expected. It’s just that fun and engaging. It is also worth noting that Pokémon Go vibrates when a Pokémon is nearby. This means you can hold your phone in one hand while you walk and just pay attention to the vibrations. This will prevent most of these types of injuries. Pay attention to where you are and where you are walking. Look up and around as soon as you catch a Pokémon. Make sure the area around you is safe. Stranger Danger rules apply. Never EVER approach a Poke Stop with an adult standing alone. It’s not safe for a child to be in an area with a lone adult who is a stranger. An adult out by themselves will never legitimately need a child’s help. Say ‘I’m sorry, I can’t” and offer to get your parents for them or another adult that can help them. Walk away quickly. No matter how innocuous it seems and how innocent it seems, a child should never assume an adult is playing Pokémon GO and offer to assist them. Use the buddy system whenever possible and walk with a parent or friend. Do not go out searching for Pokémon at night and always walk in a well lit area that you’re familiar with. If you have listened to us speak on our podcast (Engage! A Family Gaming Podcast), joined in our chats on our Engaged Family Gaming Community, or if you have read a lot of our articles, you will be familiar with one of our most popular sayings. Here at EFG we believe that playing games WITH your children is the best gaming experience that you can have. It is more enjoyable for you as a parent and for your child. It is a great bonding experience, a great way to get in some family time, and a perfect way to develop trust and encourage discussions with your child. To that end, we can not think of a better game to enjoy together as a family. But, it is important to have a game plan in place, a clear set of rules and guidelines, and maybe even practice some safety drills before going on your Pokémon GO adventures. Get Up, Get Active, and GO! 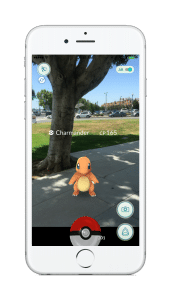 – A Parent’s Guide to Pokémon Go! Pokémon Go is taking the world by storm. 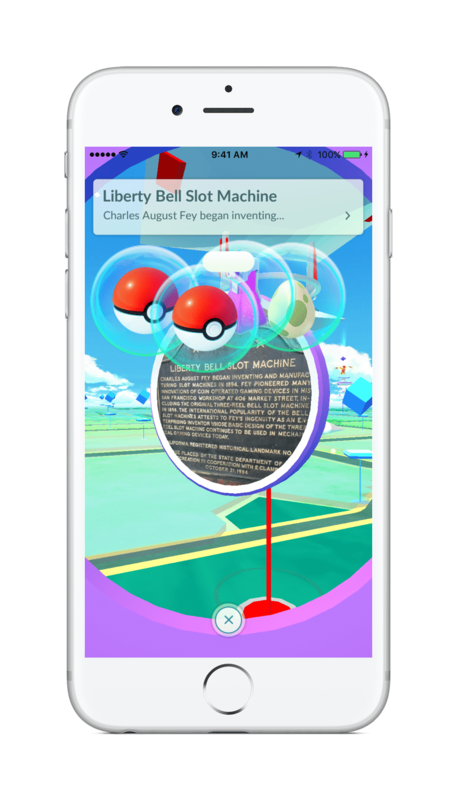 It was developed in partnership between Niantic (The people behind the augmented reality game Ingress) and Gamefreak (The people who make Pokémon video games). When it was announced a year ago it had a lot of potential. Pokémon is a well loved brand that is popular now AND old enough to have nostalgic players hungry to recapture the glory days of their youth. The game itself can be difficult to describe. It is an augmented reality game. This means that is a game that layers game mechanics onto real world locations. In the case of Pokémon Go, this means using Google Maps data and dropping Pokémon all over the map for us to find. The difference is that we can’t just go there in a game, we have to walk their or drive there ourselves. A lot of parents have been caught off guard by the game’s release. As a result we are publishing this guide to help parents understand what the game is and the basics of playing it. We will follow up with additional content including an FAQ and a deeper strategy discussion to help people play the game at any level they choose. Take a look below and be sure to share this with any of your bewildered friends. It’s a hot new app developed by Niantic labs (makers of Ingress) that is being played by kids and adults alike all over the world. It’s making headlines everywhere, and here at EFG, we’ve got all of the details. At it’s core, Pokémon Go is an augmented reality app playable ONLY on your phone. It uses the camera on your phone along with your phone’s GPS features. 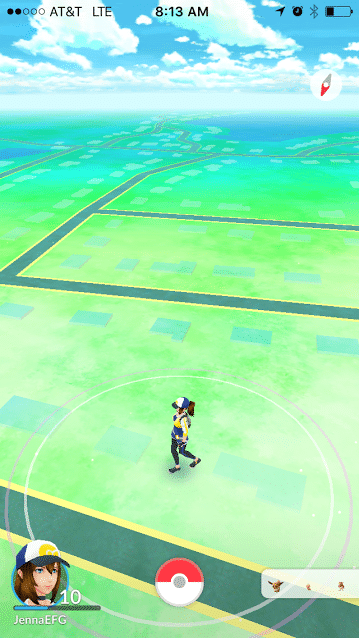 As you walk various places, the GPS places your avatar on a map and you can discover Pokémon in the world around you. You get to be a Pokémon trainer and catch Pokémon. The app also interacts with the map by bringing you to landmarks such as parks, historical sites, municipal buildings, churches, etc. that are Poké Stops where you can get free goodies to aid you in your endeavors to catch ‘em all! There are even gyms where you can test your Pokémon trainer skills and have a Pokémon battle. But, all of these cool features are based on the idea that you KEEP MOVING. If you don’t walk, you quickly become unable to advance in the game. It’s designed to get people outdoors and moving. After downloading the app and FULLY CHARGING (more on that later) your device, you can go ahead and load up the game. You need a Google account or you need to sign up for a Pokémon Trainer Club account to log in. Once you log in, you start by immediately choosing a Trainer avatar to represent you on the map. You can customize gender, skin tone, hair and eye color and basic clothing. After you choose your avatar, you are introduced to Professor Willow. He will explain some very basic info about the game and ask you to choose your first Pokémon. The Pokémon that you can choose from are Squirtle(water type), Bulbasaur(grass type), and Charmander(fire type). Anyone familiar with the earliest incarnation of Pokémon will immediately recognize these little guys. That’s all there is to starting the game. When you start, your screen will look like a grid of unmarked roads. If you look closely, you will recognize the map as the area that you are physically standing at. You may see rustling grass (marking Pokémon in the area), and local landmarks disguised as Poké Stops and Pokémon Gyms. As you move in the real world, your avatar does too. Pokémon will pop up on the map with a small vibration as you walk along. If you tap on the Pokémon that appears, you can attempt to capture it. You will also see your avatar icon on the bottom left of the screen. You can tap on this to view your character’s level and achievements. In the center of your screen you will see a Pokéball. Tapping on this Pokéball will bring up other items such as your backpack, your Pokédex, your personal Pokémon inventory, and the settings and tips for playing the game. On the bottom right of your screen you will see a grey or white rectangle with nearby Pokémon in it. You can tap it to expand it and see what else is nearby. Once you’ve found a Pokémon, it’s time to throw a Poké Ball to try and capture it. You “throw” in game by touching and holding your Poké Ball. When you do this a glowing ring that shrinks and expands will appear around the Pokémon. When the ring gets to its smallest, you want to swipe your Poké Ball directly toward the creature and release your finger. You want to aim towards hitting the Pokémon on the head. If you have successfully captured the Pokémon the ball will shake a few times and it will say “Gotcha”. If you are unsuccessful, the Pokémon will jump out of the ball after one or two shakes. A note on the rings around the Pokémon: if the ring is green, it means the Pokémon is friendly and easier to catch. As you get farther into the game, it gets harder to catch Pokémon. If the ring is yellow or red, you know this match will be a challenge. Don’t worry though, the game provides ways to make it so you can still catch plenty of those cute creatures. More than one player can catch the same Pokémon; if you and another person see the same Pokémon on your screen, you can both capture it. There is no need to race each other to be the first to catch it. Poké Stops are the tall poles with blue cubes on top of them spread out across your map. These typically coincide with physical landmarks in the real world. You can tap on it to find out exactly what the location is even if you are not in range. When a Poké Stop is within range, the blue cube will transform into a spinning circle. Inside the circle, you’ll see the Poké Stop symbol, the location’s photo, and maybe some historical info. Swipe the disc with the picture on it to spin it, and bubbles with pop up with items like Poké Balls, Poké Eggs, potions, lures, incense and more. Please note: you can’t activate the Poké Stop to collect items, experience, and Poké Eggs unless you move within a close proximity to the actual landmark. As you increase in levels, you unlock new items to collect. After you visit a Poké Stop, the blue icon will turn purple and you will be unable to access it for at least five minutes. The teams do not affect the types of Pokémon you encounter, they only affect gym battles. Choosing a team of a specific color is the only way to interact with your friends (so far). You use your color to help take over and level up gyms. If you possess a gym, you get rewards like Poké Coins and Stardust, which can help you level up and evolve your Pokémon. Much like Poké Stops, Gyms are physical landmarks. You interact with a gym by tapping it and activating it just like a PokéStop. This is where Pokémon battles happen. Players can claim them for their team, or help level up a Gym already claimed for your color to build up its prestige. Trainers can take over an unoccupied Gym and claim it for team Yellow-Instinct, Blue-Mystic, or Red-Valor. If you encounter a Gym and your team’s color is already in control of it, you can train your Pokémon in the Gym one at a time. If the Gym is controlled by another color’s team, you’ll need to battle the Pokémon standing guard to lower its prestige and take over control of the Gym. Gyms earn prestige when you train your Pokémon in one that your team controls, and lose prestige when opposing teams win battles against the Pokémon left there. As a Gym’s level increases, so does the number of Gym Leaders allowed. Gym battles are mini-games where the goal is to attack the opposing Pokémon, and dodge their attacks. While battling, you have three options: You can tap the screen to attack, press and hold the screen to initiate a special attack, or swipe left or right to dodge an opponent’s attack. Your goal is to lower the opponent’s Pokémon to zero hit points. To steal control of a Gym that is already occupied by an opposing color you have to defeat ALL of the Gym Leaders’ Pokémon in it. Beating leaders lowers the Gym’s prestige and it can take multiple attempts to actually take over the whole Gym. Why do we care? If you occupy a Gym, you help your team AND earn Poké Coins, too! Every 20-24 hours, you earn 10 Gold Poké Coins and 500 Stardust as reward for staying in the Gym. You can use these Poké Coins to purchase items in the Shop and the Stardust to level up your Pokémon to make them more powerful. The Shop is where you can purchase items that are necessary to advancing in the game. You can purchase these items with Poké Coins or with real world money via microtransactions and in app purchases. Items that can be found in The Shop include Poké Balls to capture Pokémon, Incense to lure them, and potions and revives to heal them after Gym battles. Please note: You don’t ever HAVE to spend real money. You can stock up on most items just by visiting Poké Stops. If you want to battle at Gyms you need to have strong Pokémon. The strength of the Pokémon is displayed as CP (combat power). A Pokemon’s Combat Power determines how useful it will be in Gym Battles. You can increase your Pokémon’s CP by either using the “Power Up” option or the “Evolve” option. Pokémon evolution is a major theme in both the cartoon series and the games. It is no different here in Pokémon Go. Evolving a Pokémon gives it a boost to its CP, health, and changes it’s abilities. It also turns the Pokémon into a new form, giving you access to more entries in your Pokédex. This gives you experience points and helps fill out the Pokédex to make you one step closer to catching them all! From the main screen of the game, tap the Pokéball in the center. Tap on the Pokémon button. Select the Pokémon you wish to level up or evolve. The game will automatically either power up or evolve your creature. Your Trainer Level advances in multiple ways. The easiest way to advance your trainer level is to catch Pokémon. Every time you catch one you gain XP. You also gain XP by interacting with Poké Stops and Gyms as we discussed above. One of the best ways to advance your Trainer Level is to Evolve your Pokémon. As your Trainer Level advances you can take on more difficult Gym Battles, you may encounter stronger and more rare Pokémon, and you get access to better items from Poké Stops. This is our guide to Pokémon Go so far! Sound off in the comments if you have additional thoughts or if you think we missed anything! We’ll be updating this post regularly and adding even more content to Engaged Family Gaming in the coming weeks! Editor’s Note: This article was originally published on Pixelkin.org. Make sure to check them out when you get a chance! Square Enix took time on their Twitch channel to give a significant demo of the upcoming mobile game Deus Ex Go. This is the third game in the very successful Go series and one that is being released at a great time considering the upcoming AAA release Deus Ex: Mankind Divided. The goal of the demo was to demonstrate some of the key features of the game and to run through a handful of stages. This is important because the Go series is built around the idea of distilling complex games into their most pure form and then turning them into a sort of digital board game. Deus Ex Go accomplishes this by being a game focused on stealth. You control Jenson as you take steps on a series of interconnected lines. There are guards at certain other points on the grid that will become aware of you if you step into their line of site. At that point they will take one step towards you for every step you take in any direction. They will also continue to do so until you step around a corner or leave their line of site. The goal? Its always to navigate Jenson from the starting point on the grid and survive all the way to some point on the other side of the screen without being caught. Enemies can only be eliminated if you step onto their space when they aren’t aware of you. Deus Ex isn’t just about stealth though. This isn’t Thief after all. It also is about augmentations and hacking. Deus Ex Go definitely includes both of those things. There are icons on various points on each level where players can activate a cloaking device that will make Jenson invisible for one turn. Likewise there are icons that will let Jenson hack into turrets and platforms. The game itself looks pretty amazing and both of its predecessors were great. I’ve got high hopes for this one as well. We’ll check back once the game is released later this year. Pokemon Go Release Window Announced! Nintendo held a Q & A for Pokemon Go at the start of their second Treehouse Live @ E3 event. The panel was loaded with people from Nintendo, Gamefreak, Niantic, and even a few of the more active beta testers. The panel lasted for about an hour, where they went over some of the interesting things that they have learned during the beta process. The first thing they did was clarify and reiterate exactly how the game works. 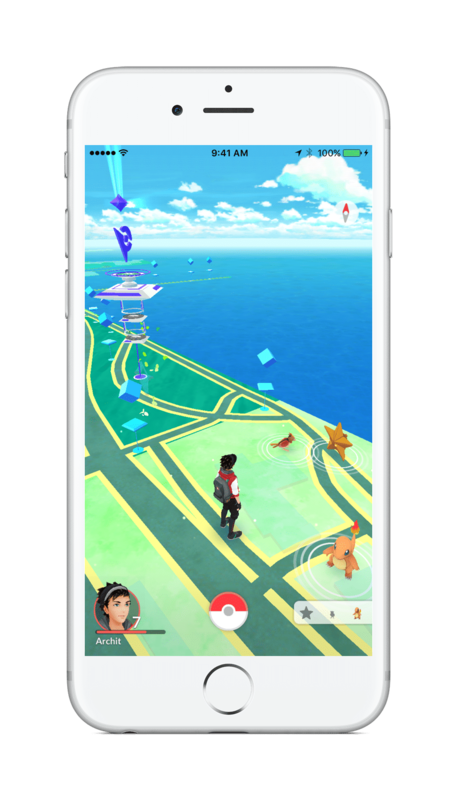 Pokemon Go is a so-called “real world game.” This means that the game uses GPS data gathered from your phone to locate Pokemon that have been spread throughout the world. When you encounter a Pokemon you will be able to use your phone’s touch screen to throw a Pokeball at it. The likelihood that you can capture the Pokemon is based one whether you can actually hit the model of the character in field of play and if you can hit them when a targeting reticle is at the perfect spot in its cycle. Pokemon in your collection gain experience and ultimately evolve by eating special Pokemon candy. They specifically mentioned that the candy is earned by capturing Pokemon during your travels, but I am pretty certain that you will also be able to spend real world money on it too. This is a free to play mobile game after all. One item that got a lot of discussion was the Pokemon Go Plus device. It is a red and white device that can be worn as either a pin or a watch. It connects via blue tooth with your Android or iOS device and lets you play the game without taking your phone out of your pocket. The device has an led light in the center that will flash different colors to tell you what is happening. You can actually use the buttons on the Pokemon Go Plus to capture Pokemon without even taking your phone out. They also let the release window for both the app and the Pokemon Go Plus slip. They will release in July of this year and the device will retail for $34.99. Keep your eyes on Engaged Family Gaming for more information as we get closer to release. Video games are ubiquitous today. Virtually everyone has a home console or, at least, a smartphone that can play games. This has created an entire generation of kids who dream of making their own games when they grow up. The problem is that making games has, so far, been arcane and difficult to understand. I write about video games every day and even I struggle to understand exactly how the process works. (I’m actually convinced that some of these companies use magic.) Fortunately, a number of companies are working on finding creative solutions to that problem. 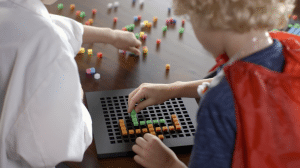 Bloxels, marketed as“The most kid-friendly video game creation platform ever,” was a sight to behold at New York Toy Fair this year. The system consists of an iPad app and a checkerboard-esque platform with a series of slots in which its user can place different colored cubes. The app is programed to read these cubes using the iPad’s camera and use them to generate pixel art that players can use to create their own platform games. There are two layers to the design process. First,players can use the layout grid to design individual characters or single block sized segments of scenery. The second layer allows players to design individual levels. Each different color block represents different a different component of the level from a platform, to a hazard, to an enemy. The process is simple and it is easy for players to visualize what they are doing while creating each screen. Budding game designers have a great deal of artistic control over their games and can even go so far as to design the backdrops for their levels, add destructible objects, to place powerups, or even story elements. Even better? Players have access to what is called the Infinity Wall. This is a place where players can share their creations with others OR they can take interesting components to and to their own games. The designers expect that there will be some players who really only want to do one part or the other and are happy to let those two communities build off of eachother. There are clearly some shortfalls that Bloxels will need to overcome though. This is a product that produces platformer games to be played on the iPad, which can be tricky to use because it lacks real buttons. But, thankfully, no one is touting this as the next Unreal Engine. This is a creativity tool that helps establish some strong fundamentals in design and helps reinforce the idea that most game design is done in segments. 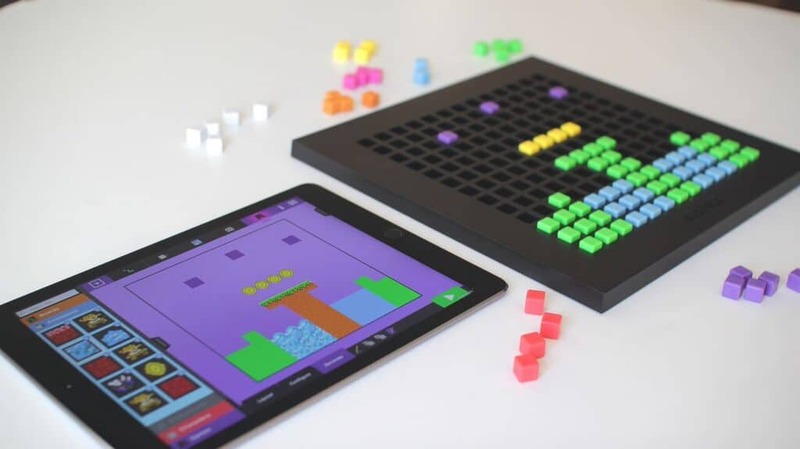 The Bloxels system retails for $49.99 and includes everything you need to jump right into the world of video game design. The coolest thing I got my hands on at New York Toy Fair was an app-connected smart duck. Let’s take a second to let that sink in. Ok. You good? Alright. I’ll continue then. I met with the team from pi lab, the inventors of a toy called Edwin the Duck, at Toy Fair and was instantly impressed. I was skeptical at first. In fact, my first question to them was why a rubber duck was lined up in the tech toys section surrounded by drones and 3D printers. Their answer was simple. 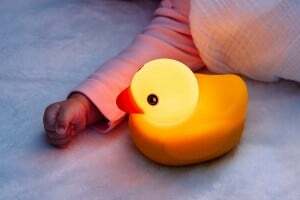 Edwin was “No Ordinary Duck.” He was, in fact, a toy that worked in tandem with a series of iOS apps that help turn him from a tub toy into a night light, and an interactive controller. Edwin the Duck is, without question, the ultimate Trojan Horse for educational material. Children will build fond memories as they play with him in the bathtub or as they see him watching over them as they fall asleep. He can then use those emotional connections to help funnel knowledge right into their heads. I know that all sounds dramatic, but it made total sense once I started playing with the toy. 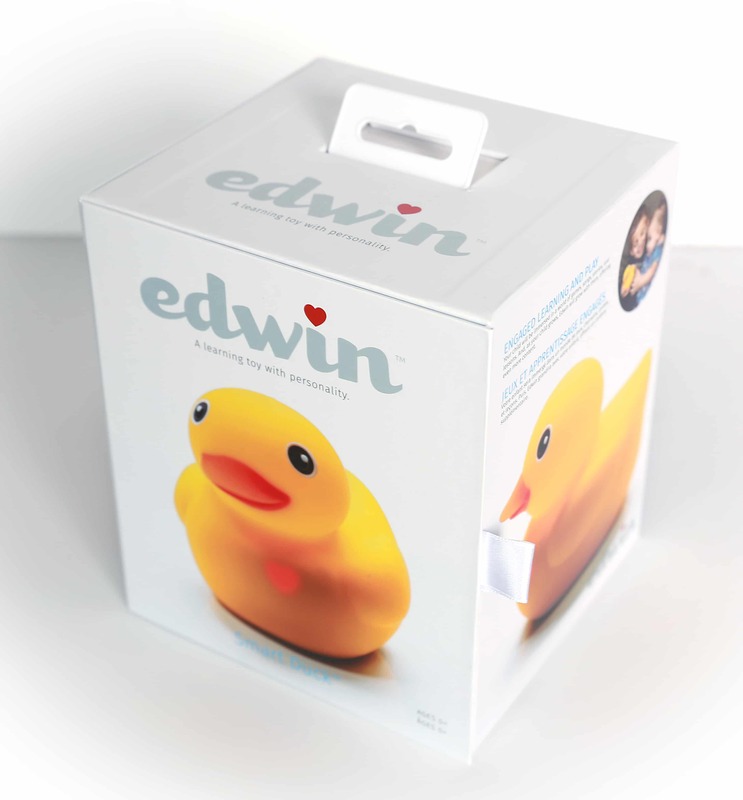 The team behind Edwin truly believes that “the only way to teach a child is to emotionally connect with them.” In fact, the specifically chose to make their toy a duck as opposed to a bear or other animal because the rubber duck is iconic. The team found, during their product research, that just about everyone remembered owning one as a child even if they weren’t absolutely certain of it. That kind of a connection with a child’s toy is hard to ignore. Edwin is more than just a rubber ducky and a night light though. He is also the controller, for lack of a better term, for a series of interactive learning games available on iOS. He has a gyroscope and four sensors that register taps the same way a button does (one on his front, one on his back, and one on each of his wings). 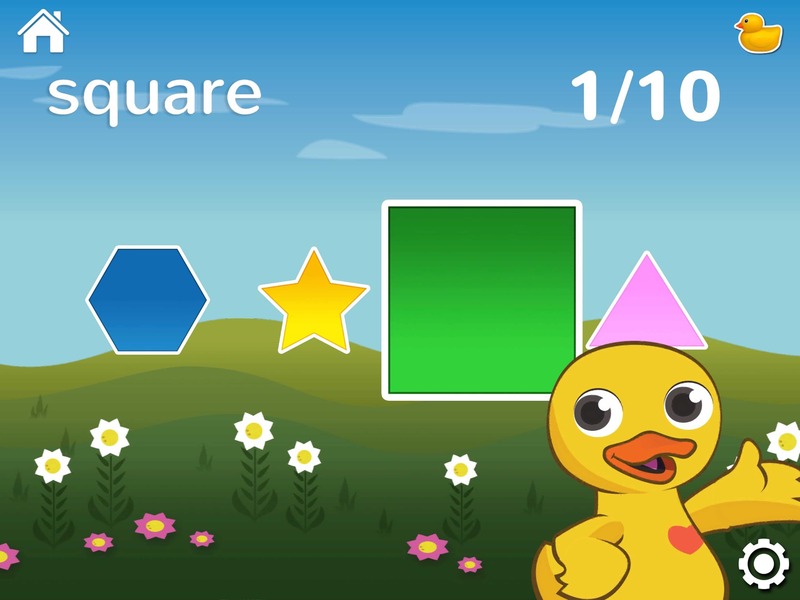 The learning apps, right now, teach things like shapes and letter recognition, but there is a lot of potential to add more complex concepts later on. The team indicated that it is being marketed as a toy for ages zero to nine right now, but a lot of the content right now is targeted towards younger kids. The intention is to have the content grow as their audience does. Those emotional connections between toy and child will only get stronger. Pi lab theorizes that the content they will be able to deliver will grow alongside it. Unlike many products that I saw at Toy Fair, Edwin the duck is currently available for sale at the Apple Store and at Best Buy for $99. This is, admittedly, pricey and will likely place this toy outside of some people’s budget. But, this is a very impressive piece of technology that is definitely worth it for families that can swing the price. I definitely enjoyed my limited time with it and I’m not even a little kid!